OTTAWA - The pace of inflation eased in July as increases in the price of gasoline slowed, giving the Bank of Canada room to keep interest rates at their exceptionally low levels. Statistics Canada said Friday that the consumer price index rose at a annual pace of 2.7 per cent in July, down from a 3.1 per cent rate in June. It was the first time that inflation has been below a pace of three per cent since February. TD Bank deputy chief economist Derek Burleton said the "inflation genie" appeared to remain tucked in the bottle. "It will give the Bank of Canada some wiggle room to keep rates low during this period of global uncertainty," Burleton said. "The thinking has shifted now to the fact that economic growth is probably going to slow and the fact that core inflation is still below the Bank of Canada's target (of two per cent) means that inflation really isn't a major risk at the moment." Bank of Canada governor Mark Carney told the House of Commons finance committee that the latest read on inflation was consistent with the central bank's expectations. "This is particularly important in the current environment of material external headwinds. To state the obvious, if the outlook for growth and inflation changes, the path for monetary policy will be affected accordingly," he said. BMO senior economist Sal Guatieri noted that the core rate appeared to be on track to fall short of the Bank of Canada's estimate of 1.9 per cent for the third quarter. 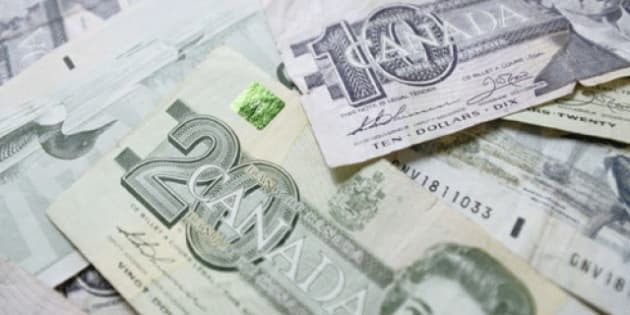 "While Canadian inflation has been more volatile than usual of late, core inflation looks to settle just below the two per cent inflation target, providing an anchor for the headline rate to gravitate toward," Guatieri wrote in a note to clients. "The tame core reading will buy the Bank of Canada time to remain on the sidelines and is clearly no obstacle for rate cuts should global recession risks intensify."